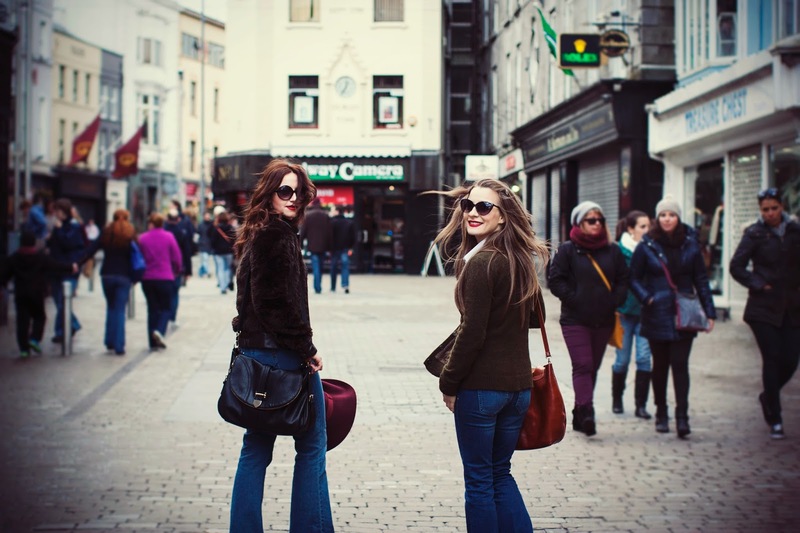 We couldn't miss the opportunity to explore the city even if it was just for a couple of hours. 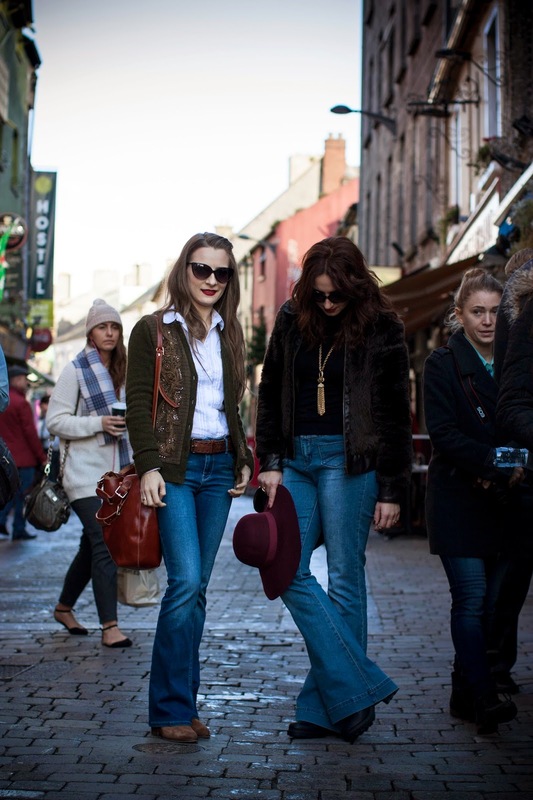 We loved the atmosphere in Galway and will definitely return to do some more sightseeing hopefully in the near feature. 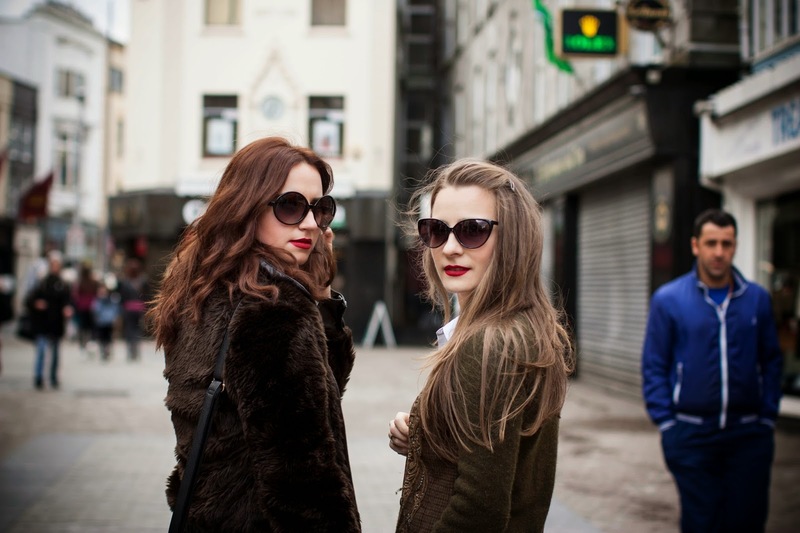 Our initial plan was to shoot a glamorous 50's inspired editorial, but the weather the day before our trip was terrible, so we've decided to make some last minute changes and I think we've made a wise decision. 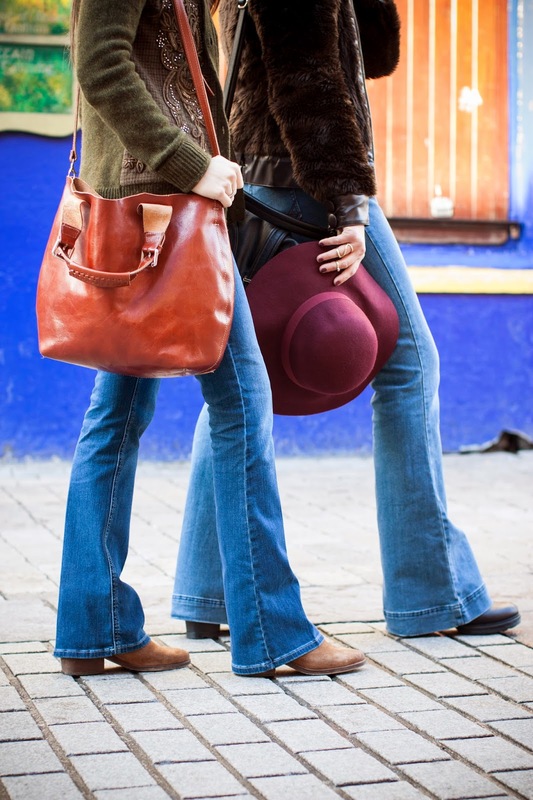 Travelling in dresses would have been way more uncomfortable, bell bottom jeans were a perfect fit for a day on the road. 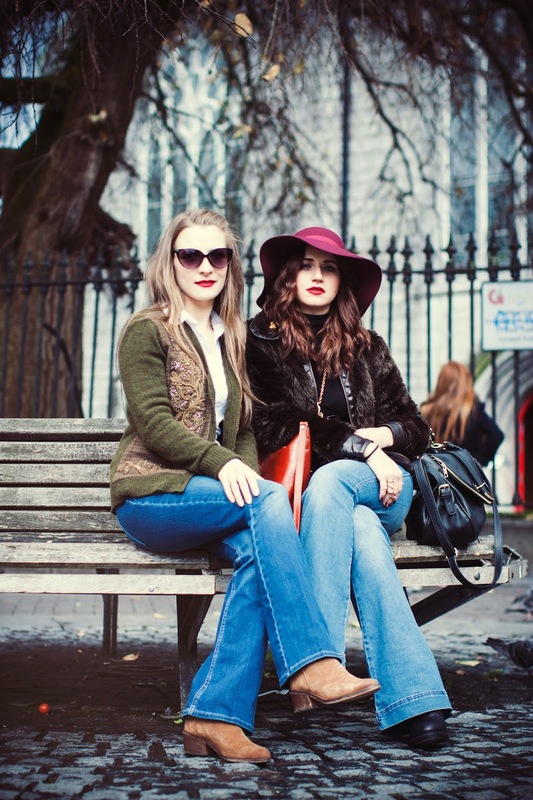 I am an absolute 70's style worshiper! Just can't get enough of the cool laid back style that's oh so chic for a day and I adore the 'disco fever' glittery dresses for the nights out. 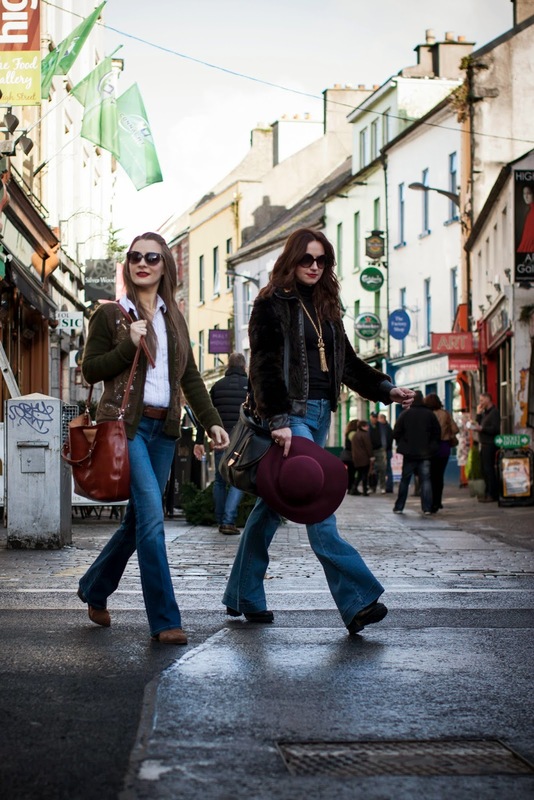 The 'forgotten decade' as referred to by the fashion insiders has been revived by a number of designers in their latest collections. 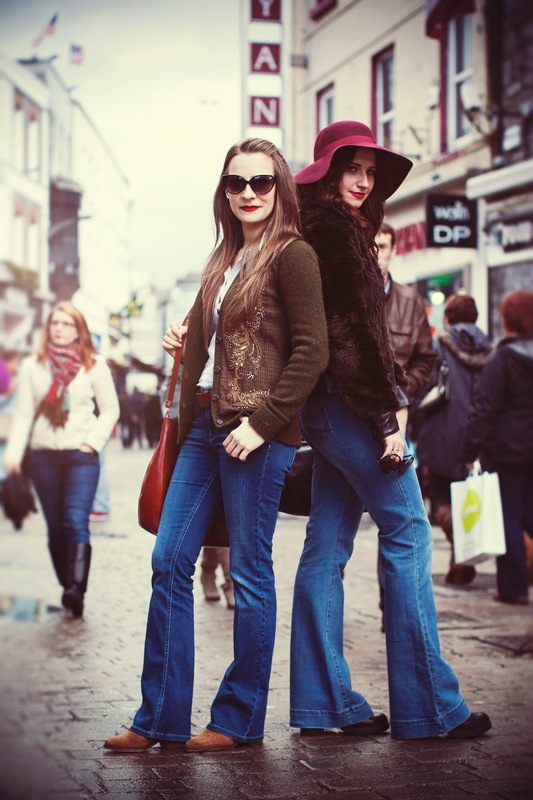 70's are becoming a huge trend again and are here to stay. 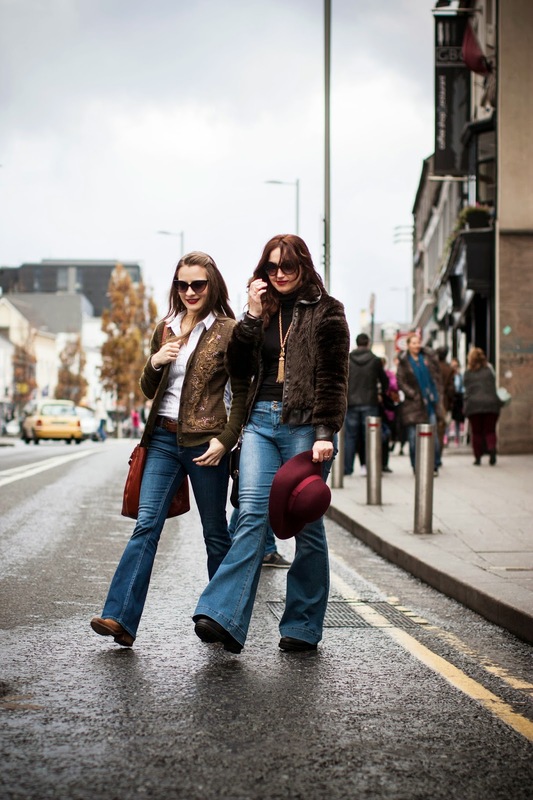 If I had to choose one item that reminds me of this decade the most, it must be the FLARES! An absolute must have for the coming seasons. 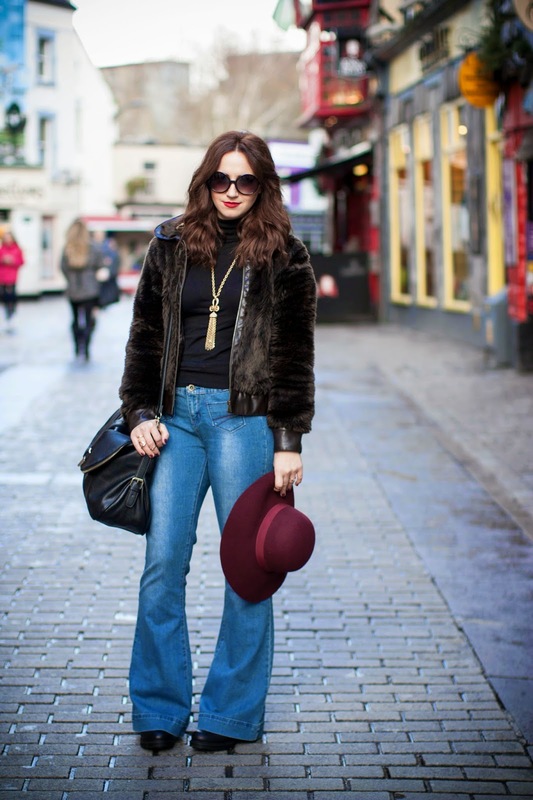 I wore mine with a simple black rollneck and faux fur jacket. To maximize the retro feel I chose to wear a burgundy floppy hat and to complete my look and add some sparkle I wore these one of a kind vintage jewelry pieces. Tassle necklace I trifted in New York and an antique brooch I bought at a flea market in Dublin. 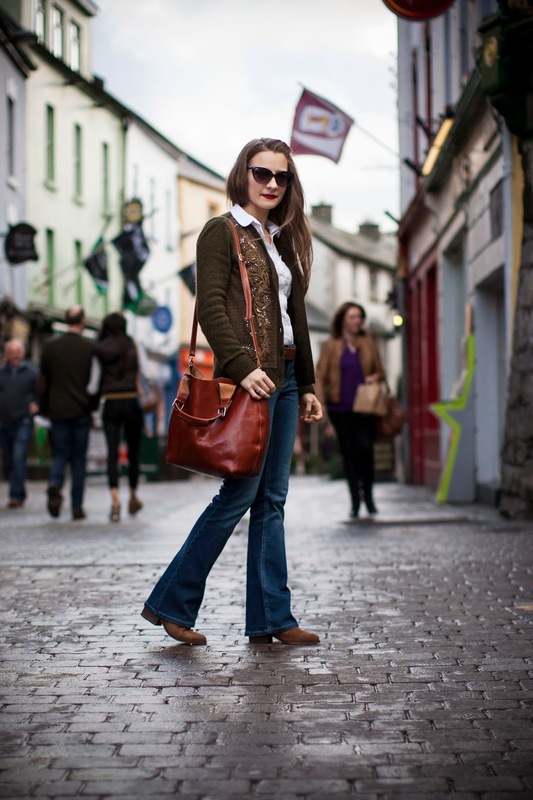 Agata (wore flares by River Island) took the 70's in to the more sophisticated side and made it her own. 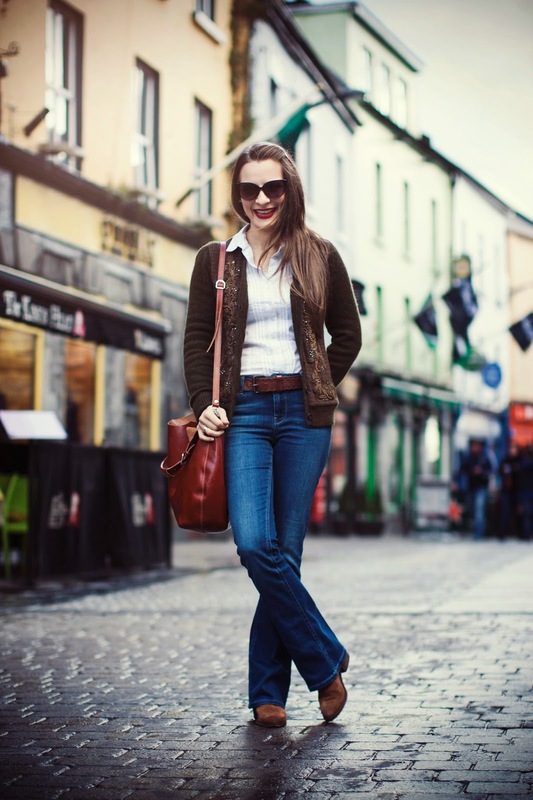 Flares paired with a simple white shirt and a statement cardigan could take her from an office to a dinner date. I have to tell you a bit more about her cardi, because I am so jealous of it! It's Ralph Lauren, pure cashmere with stunning embellishments and she found it...wait for this..in a charity shop for a tenner! I think I might have to steal it from her ;-) She finished off her look with this so on trend sparkly ear-cuff and dainty stackable rings.